The weather in Thailand doesn't fit into the same pattern for the whole country but on the whole the best time to visit is between November and February. Starting from March till May the weather becomes quite hot although if you are visiting the Northern Provinces like Chiang Mai the weather in the mountains is certainly cooler than southern Thailand. From June till the October the rainy season arrives and with it the temperatures cool. Visiting in the summer months of July and August is pleasant as although you have the rain which tends to be in short burst you are surrounded by lush green pastures and countryside. 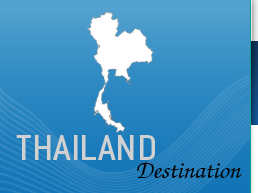 In southern Thailand where many of you will visit for a great beach holiday or extension. The temperature depending on which side of the peninsula you are. The Island of Ko Samui the best time to visit is from December till June with the rainy season being from October - December. The rain in Ko Samui doesn't have the same intensity as that of the mainland tending to be more mild. The weather on the Andaman side (Phukhet Side) is a little different and the rain tends to average out more through the year, the best time to go is from November to March, although other months are still ok. The months to be avoided are September & October which have the most rain. With this in mind, a trip to Thailand can be arranged at any time of year with careful planing and picking the right location for the right time of year!